Restore the natural vitality of water and other liquids. Water is essential to all life on our planet. 80% of an adult body is water and the quality of water we drink can heal or harm us. Well-being depends greatly on adequate cellular hydration. Remove imprinting of negative energy such as electromagnetic frequencies, emotional and environmental energy interference. Drinking pure energetically clear water gives your body the best chance to renew itself on a cellular level. Use an aqua DOT – attuned to the vibration of living water – to restore the natural vitality of water and other liquids. Water is essential to all life on our planet. 80% of an adult body is water and the quality of water we drink can heal or harm us. Your well-being depends greatly on adequate cellular hydration. Water is very impressionable (it is a liquid crystal with a pliable lattice matrix) and the water supplied to us today is just as exposed and sensitive to the vibrational effects of electromagnetic radiation as we are; it can become ‘imprinted’ with distorted frequencies from technology. Removing the physical toxins from water (so-called ‘purifying’ it) is not enough. 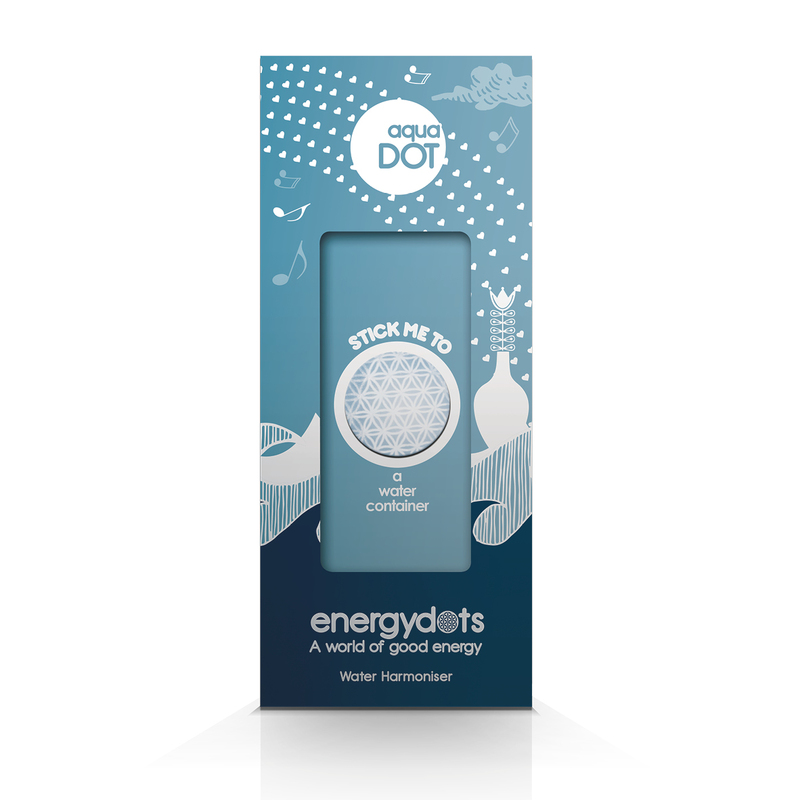 The aqua DOT is designed to refresh the natural energetic structure of water, removing imprinting from EMFs and other sources. This gives your body the best chance to renew itself on a cellular level. Water and other liquids require only 1-2 minutes to adjust with the aqua Dot’s harmonizing effect. Longer exposure can give a marked improvement in taste too. The obvious places to use aqua DOTS are on the containers of your everyday source of drinking water – water filter, dispenser, bottle or cup. Then think of all the ways you use water, or liquid products that have a high water content – and add an aqua DOT. You could stick one on a coaster so you can harmonies many containers. Try an aqua DOT on your favorite wine. If you enjoy cut flowers, place an aqua DOT on the vase to retune the water and enjoy the flowers for longer.